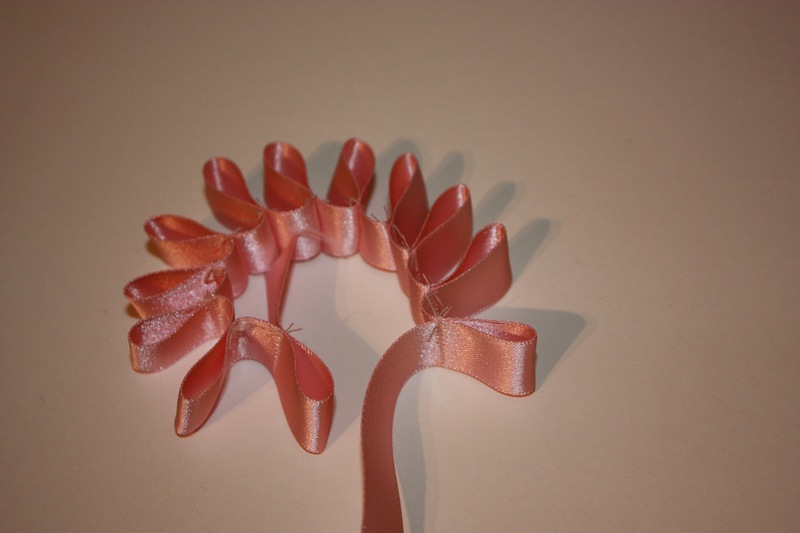 Here are a few different types of ribbon trims that can be used to decorate period hats or costumes. 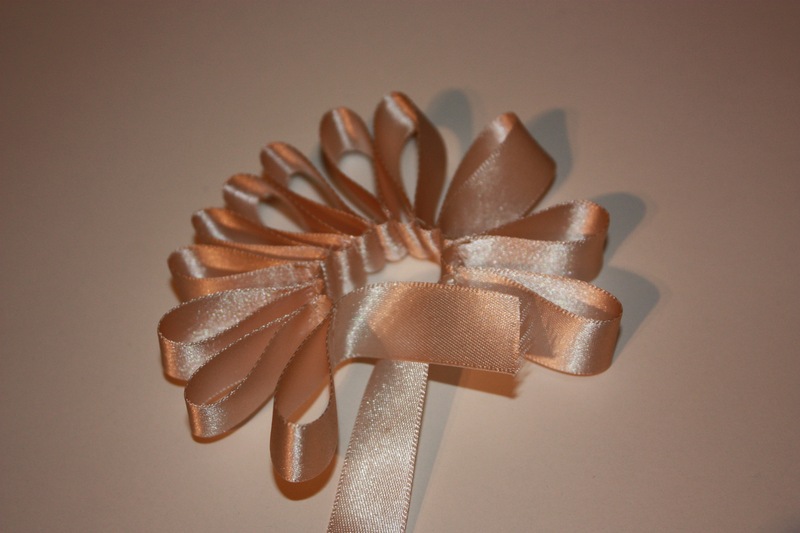 Fold the ribbon to form a plait. 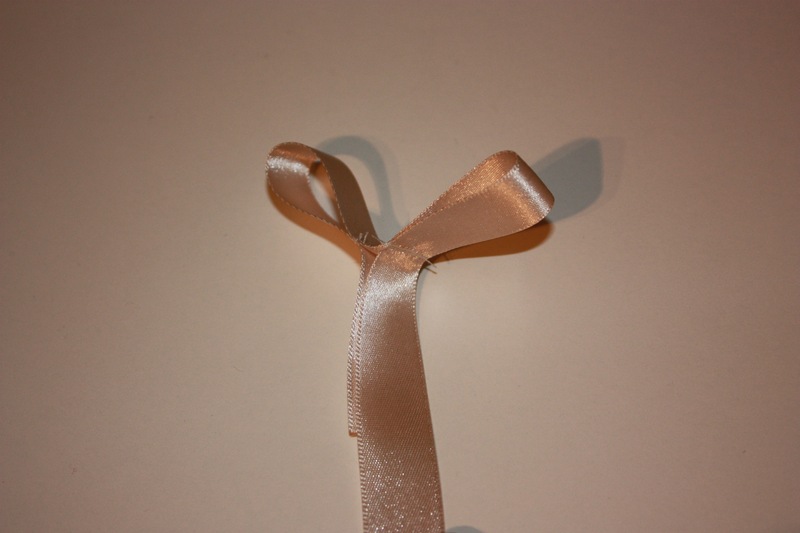 I used an iron to flatten the ribbon and stop it slipping. 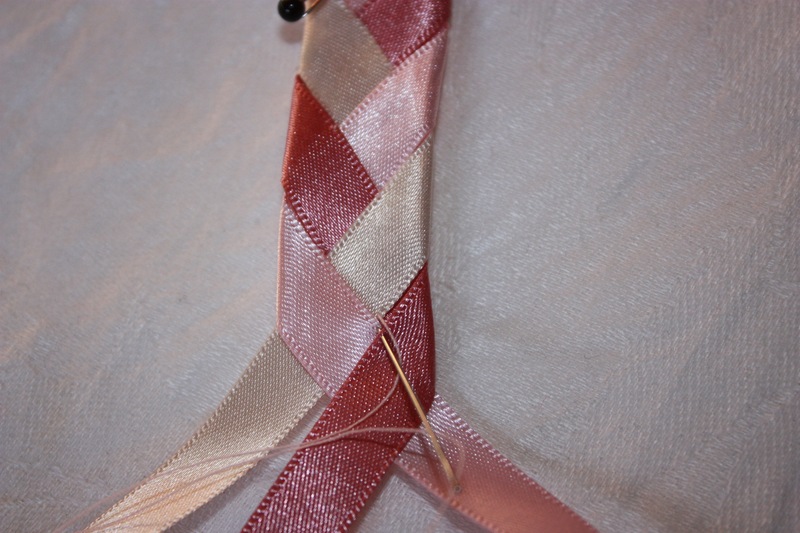 I then did some small stitches at the junctions of the three ribbons to hold it in place better. 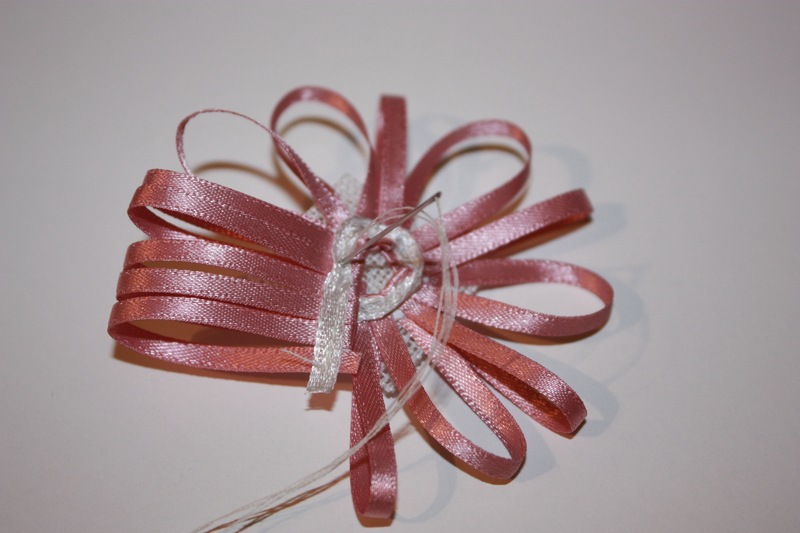 The resulting length of plaited decorative ribbon can be used just like a normal ribbon to decorate any of your particular projects. Simple, but I think it looks great! 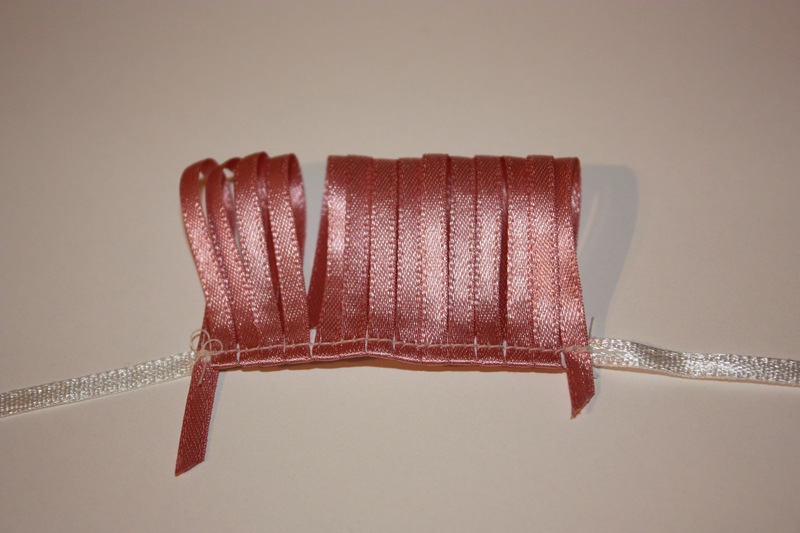 Use some thick ribbon and sew a loop in one end of the ribbon. My loop lengths were 3cm. Sew a second loop close to the first, leaving some space between the loops. 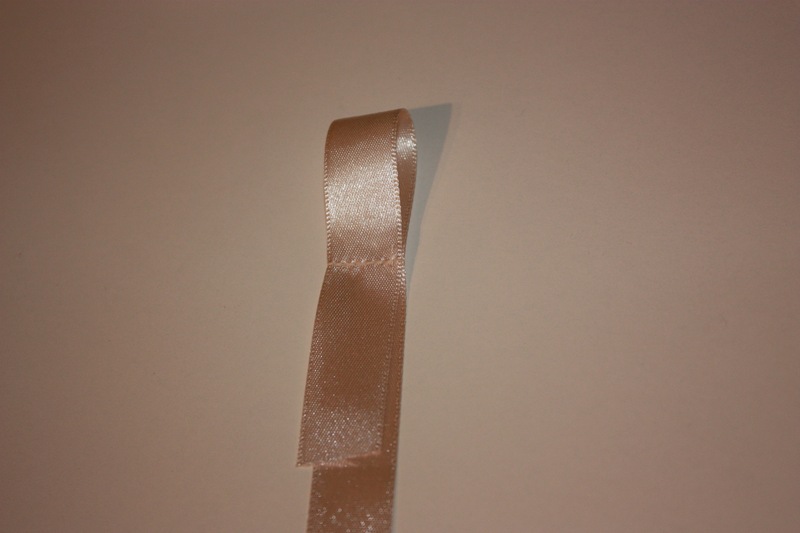 Do not cut the ribbon. 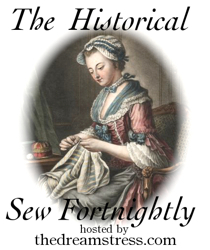 Continue to sew loops in the same manner. I had 12 loops for my rosette. Repeat the above steps in a matching or contrasting colour to make an inner layer. For this one, I again made 12 loops but made the loop lengths a bit shorter, at 2cm. 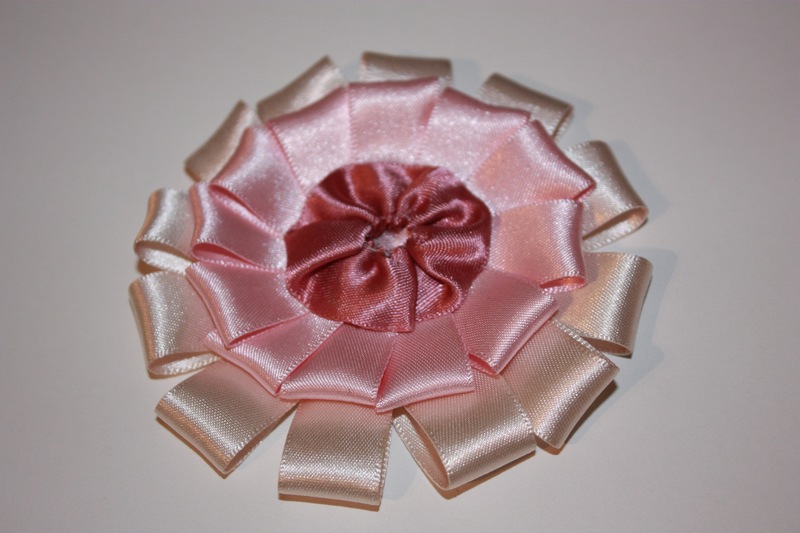 Hand sew the first layer of the rosette to a patch of buckram or stiff interfacing, arranging the loops around in a circle as you go. 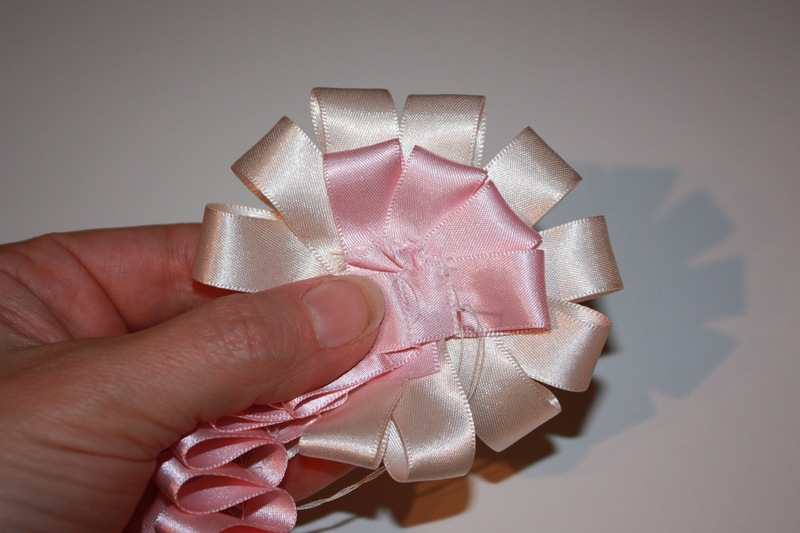 Hand sew the second layer of the rosette in a similar way. 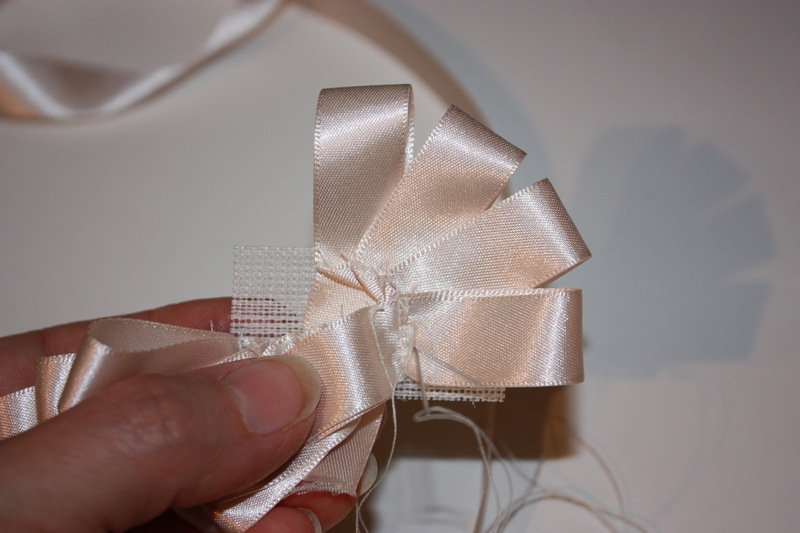 For the middle, gather one side of a piece of ribbon and pull the threads to form a tight circle. Hand sew it to the middle of the circle to cover the exposed buckram, making sure your stitches are small and close to invisible. 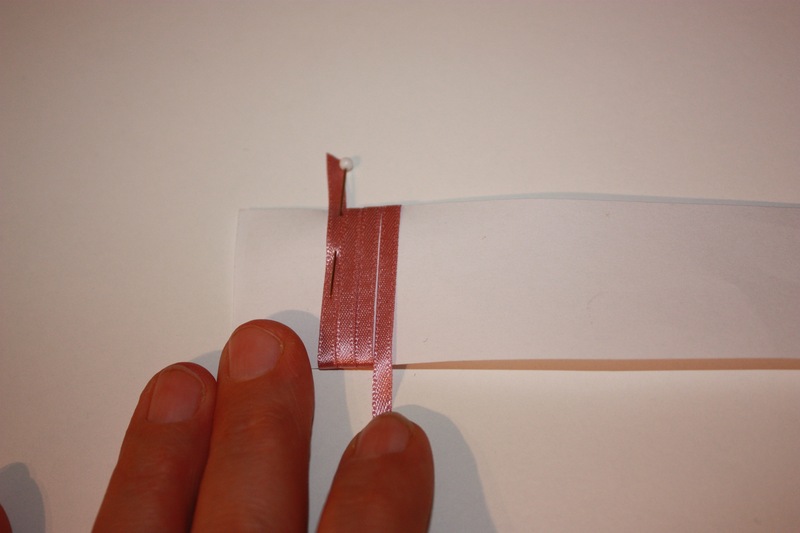 Using some thin ribbon (2mm wide), wind it around a rectangular piece of paper. The width of the paper will be the length of the petals. 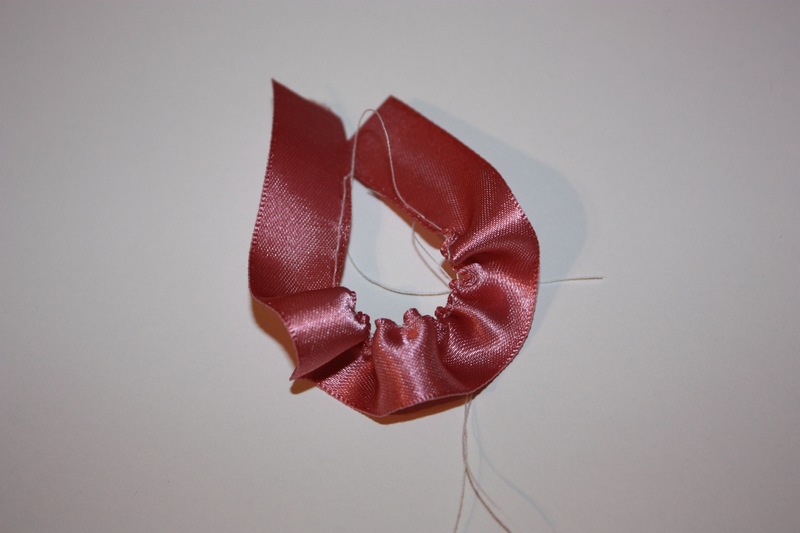 You can wind another length of ribbon of a contrasting colour over the top for a two-toned effect, if you desire. 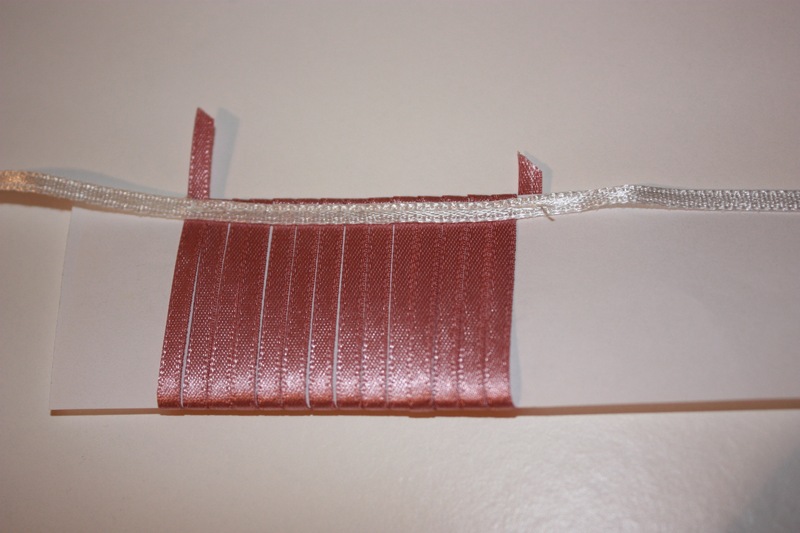 Lay another length of the same or contrasting ribbon along one edge and sew through all thicknesses. 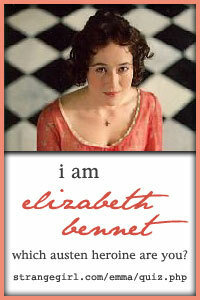 Then rip the paper out from underneath. This will be a bit fiddly, and you will leave some paper behind. 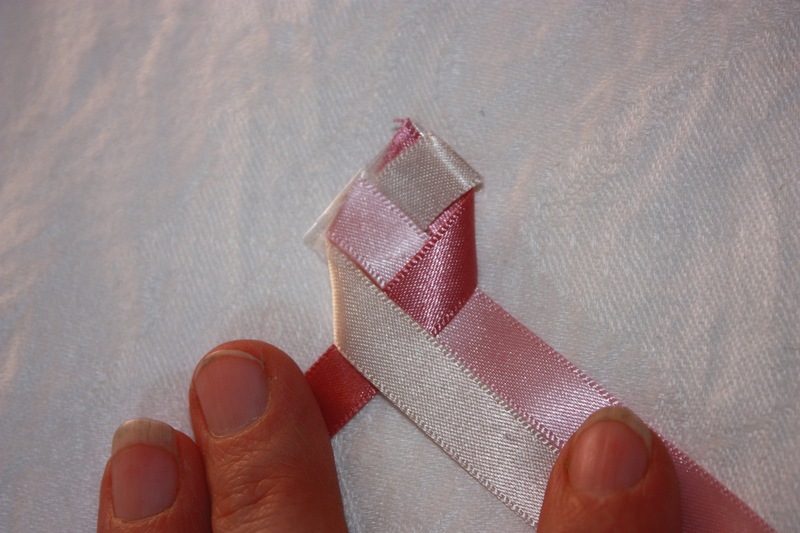 Pull the ribbon rings around in a circle and hand sew to a piece of buckram or stiff interfacing. 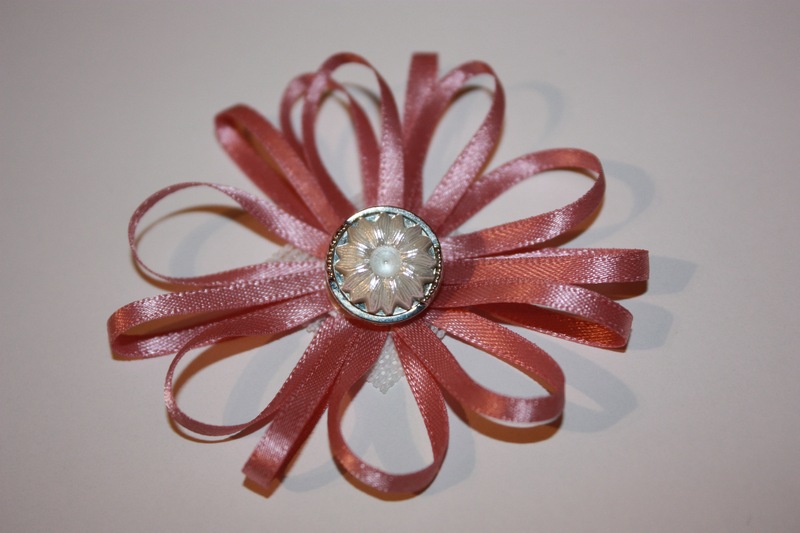 Sew a button to the middle of the flower to hide the exposed centre. 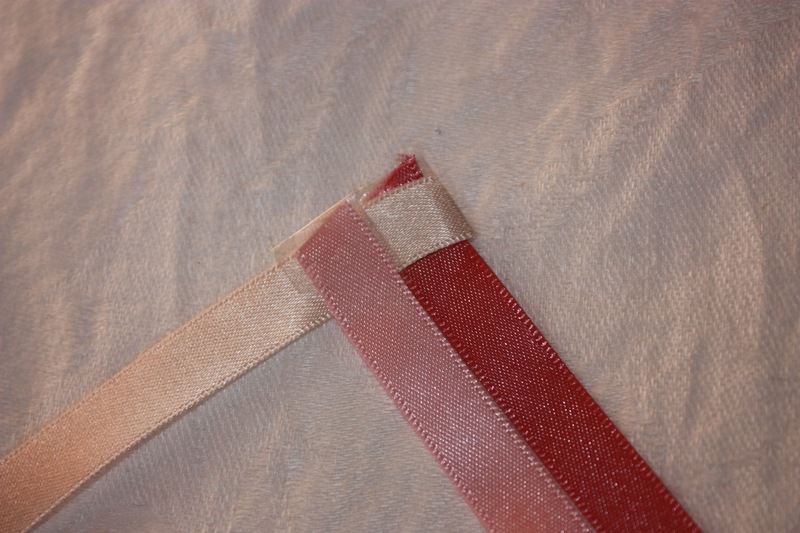 You may also need to trim the stiff backing so it is not visible from the front. 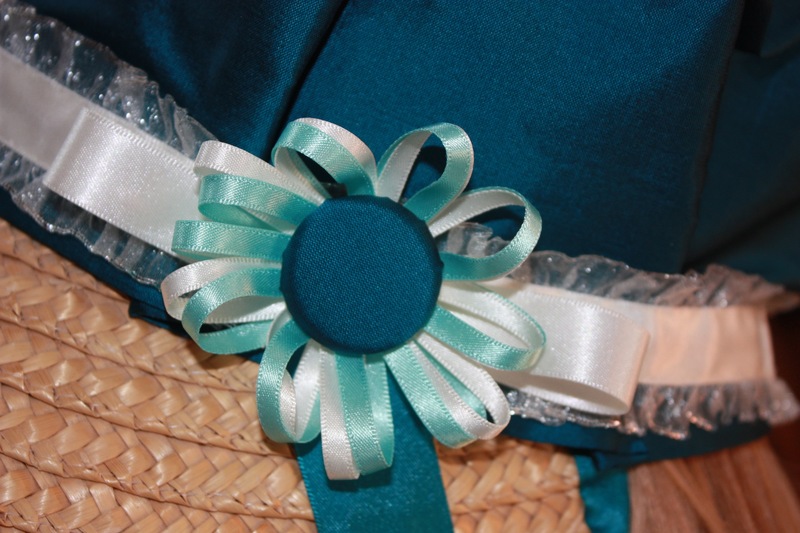 This is a two-toned flower that I made for a bonnet recently. Here I have used a covered button for the centre instead, so it matches the bonnet material. From the Neck Up: An Illustrated Guide to Hatmaking, by Denise Dreher – I discovered these trims in this book.